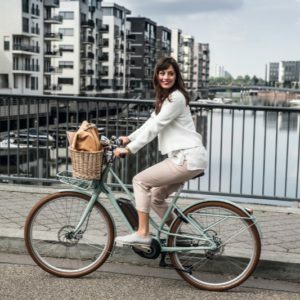 Riding bicycles in the summer is a great way to get out and enjoy the outdoors and get some exercise at the same time. Many people who are just recreational bike riders may not be able to ride long distances. But if you use an Ebike this summer it will assist you in increasing your ride time for more cycling enjoyment. The great thing about an Ebike is that you will never have to worry about not having the endurance to ride with the best of them. Because it has the motor to help you on tough hills, you don’t have to fear not being able to handle a good bike ride. This means no more excuses not to ride. You can ride with family or friends who have been riding at a pace that you feel you just could not handle. 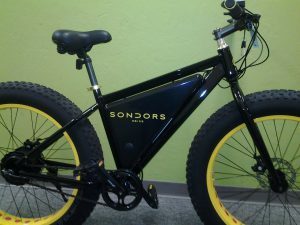 I think Ebikes make it possible to ride with whomever you know that rides, and not feel like you are out of your league. I want to introduce you to the Breeze Fat Tire Mountain bike. I have a fat tired mountain bike and my wife uses it to ride with me. She doesn’t ride often but she now on some weekends want to just ride the neighborhood. The one we have is an older model Sondors (on the right) and that is why I think the Breeze would be a wonderful bike. It is much similar to mine plus my wife loves it. If you went to view it you can see it is a very good looking bike and I assure you that you will enjoy the extra help that it will give you allowing you to maximize your riding experience. It is also a really good way to get from point A to B such as using it for regular commuting. So if you never rode an Ebike this will be a new experience for you. One of which you will be glad you tried. 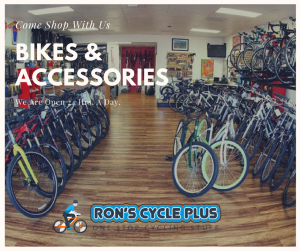 For more buying options of this particular bike purchase it on eBay or visit our online store at Ron’s Cycle Plus for more E-bike options. I hope that you enjoy your summer bike riding. I think you will enjoy your time outdoors and touring the area you live in. But by all means, have fun and get fit at the same time. Thank you for visiting and if you have any questions or comments please leave them in the comments section below and I will respond within 24 hrs.